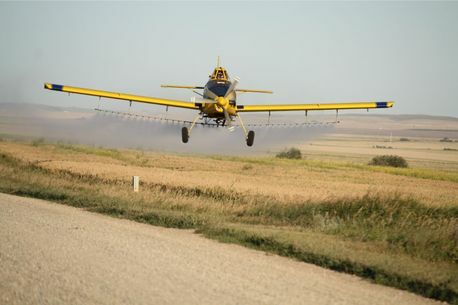 Spray Plane Strathmore | Aerial Spraying | Early Bird Air Ltd.
We Provide All Kinds of Aerial Application! 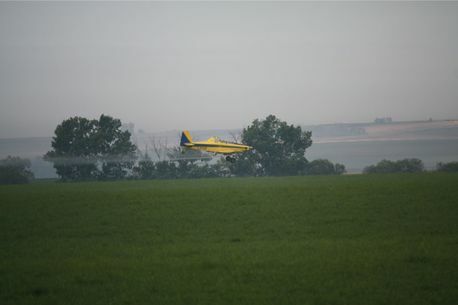 Our current aircraft is a new Air Tractor 802A, which is the best spray plane ever built. We run the latest in GPS technology for fast and accurate service. 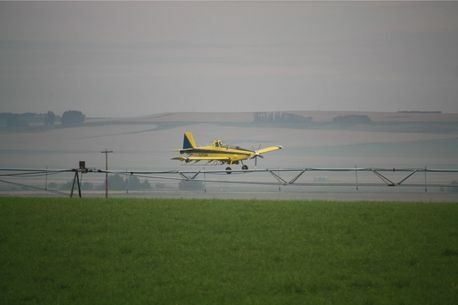 Our pilots offer over 35 years of spraying experience. Independent studies have proven aerial application can increase yields by up to 2 bushels per acre. Insecticides can be more effective by aerial application as the chemical is pushed down and under the canopy. 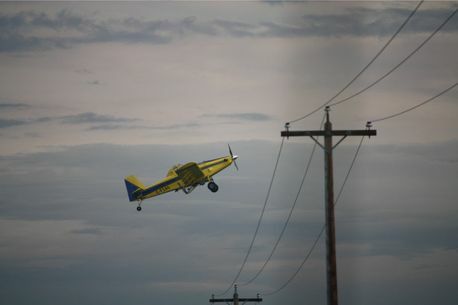 Aerial application also controls any flying insects that may go over a ground sprayer. During pre-harvest application, there is no shelling out of the crop.